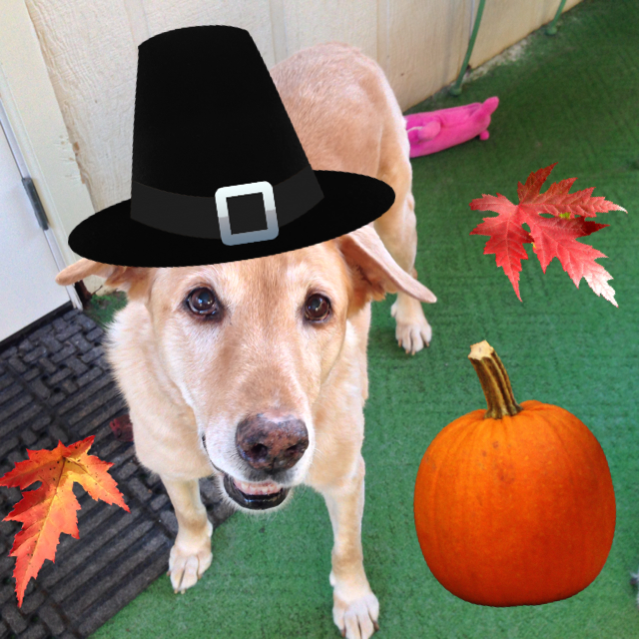 The staff at Rumpydog wish you and your family a very happy Thanksgiving and Happy Hanukkah! OK, now it’s time for a cookie, right? Really? You had to put me in the funny hat? « Orcas, Blackhearts, and Animal Welfare for Thanksgiving! Molly and the German are sending many paw waves in thanks…wait, let me brush off the mud…OK, They are waving – and Granny and RC are regally waving through the window, too – just for your Realm. Happy Thanksgiving! DeDe you look great! Have a wonderful Thanksgiving! Happy Thanksgiving, dear friends! 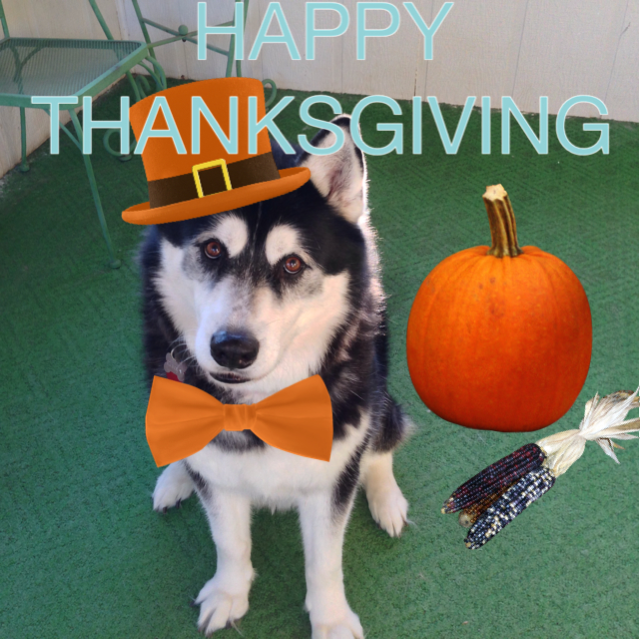 We are thankful for YOU, for your amazing efforts to help animals everywhere, and for your ongoing friendship. Big hugs to you all. You look so very festive! I am grateful for you and your family as well. Adorable pics, my Thanksgiving has already passed but I wish you a very Happy one! Rumpy, you look so handsome! Happy Thanksgiving to you Rumpy, DeDe, and Jen. Oh, and the cats too. Don’t give those cats too much turkey. Happy, happy Thanksgiving to all of the Rumpydog household! I have nominated your blog at the Sisterhood of the World Bloggers Award. If you would like to receive more information I have mentioned about you in my last two posts. I’m proud and happy to follow you. Awww Rumpy!! You look lovely! lol Happy Thanksgiving! Happy Thanksgiving pal to you and your family. Thank you. Hope your day was wonderful. That’s about the only way I could get my cats to wear a costume….Photoshop the images on, after the fact! Yow rumpy ya look so fetchin in dat hat n DeeDee me lubz dat poochie smile n style!! Hope ya had a Fab T-Burd Day! We sellybratez Chanukkah so bin lightin da Menorah n purrayin n playin dreidlz n havin tuna-tuna (any excuse will do). We hope you had a wonderful Thanksgiving! Purrs from the Zee and Zoey Gang! Hope you and yours had a wonderful Thanksgiving as well. Great photo! You deserve a cookie or three, or five, for that greeting! The boys, Mr. BobButtons, Winston Henry, Poppa and I hope you had a wonderful Thanksgiving week!